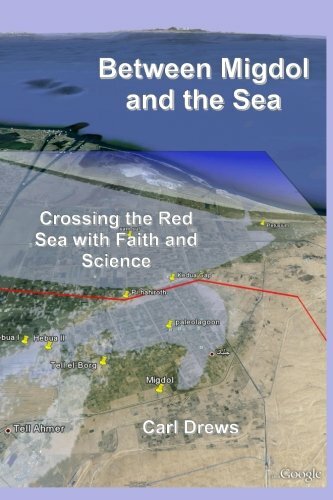 I have come across yet another blogger who has gotten the idea that the purpose of my scientific research on Moses crossing the Red Sea was to refute the miracle. This time it’s blogger Nick Foust and “Science Explains How Moses Could Have Actually Parted The Red Sea”. If you decide to look up the original post, you are hereby warned of foul language. Ancient Hebrew writers and we modern Christians have always viewed Exodus 14 as a miracle. Unlike us, the writers of the Old Testament did not quibble over which laws of physics were temporarily suspended and which held fast. They focused on the Israelites’ deliverance from certain death at the hands of Pharaoh and his army of pursuing chariots. They praised God when they ended up alive on the other side of the sea, and we should also praise God for His salvation. According to Exodus 14, God sent the east wind at just the right time to part the Red Sea and reveal a path of escape for Moses. The miracle is in the timing, and in the advance notice given to Moses. The Bible states that God used the natural agent of wind to deliver His chosen people. Nick Foust apparently comes around to this view (theistic meteorology) in his final paragraph, but you’ll have to wade through some disparaging comments about me and science before you get there. It is entirely appropriate for science to study this mighty work of God (Psalm 111:2). To the ancient Hebrews, God is in charge of the natural world and all its forces. To modern Christians, science is the study of God’s creation. My research reveals the mechanics of this great miracle, and locates the site where it happened in the eastern Nile delta. Commenter Sam has it right – God is amazing! This entry was posted on May 7, 2015, 9:23 pm and is filed under Books, Carl, Culture, Faith, History, Media Criticism, Science. You can follow any responses to this entry through RSS 2.0. You can skip to the end and leave a response. Pinging is currently not allowed.